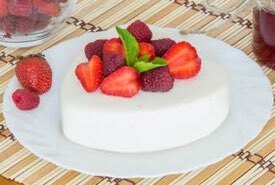 Grandma's Valentine dessert recipes are perfect for making old fashioned dessert cakes, cookies, candies, and hand-dipped chocolates for serving at your Valentine party or for gift giving. Your family and guests will love them! You'll also find a collection of vintage Valentine party ideas, complete with party games you can download, and a homemade mailbox decoration that's easy to make. Everything you'll need to experience an old fashioned Valentine party! The history of St. Valentine's Day is uncertain. Some believe its origin lies with two martyrs of the early Christian church. Both saints were named Valentine, and both were recorded as being beheaded on February 14th, about A.D. 269, during the persecution of the Roman Emperor Claudius II. It is said that one of these men, a parish priest, was executed for secretly marrying young couples in defiance of the emperor's edict that young, single men destined for the army not marry. 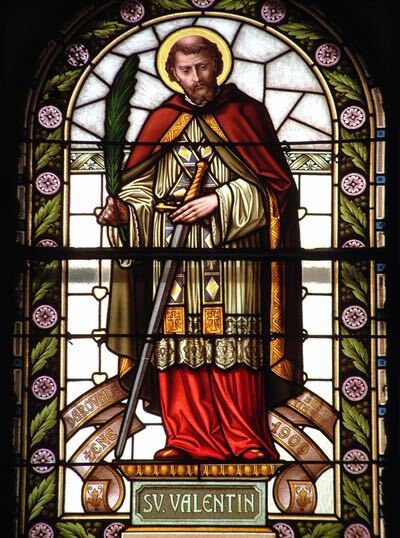 Over two centuries later in A.D. 496, Saint Pope Gelasius I named February 14th as St. Valentine's Day. There is evidence that St. Valentine's Day was first celebrated in England in the 1400s. It's on record that the first Valentine card was sent by a Frenchman named Charles, the Duke of Orleans. He was imprisoned in the Tower of London after the Battle of Agincourt in 1415, and he sent his wife an affectionate letter in rhyming verse from his prison cell. Men had often given gifts of candy to their Valentines, but the sending of romantic poems soon became more popular. 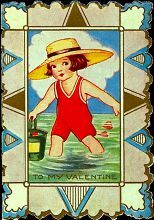 Commercial valentine cards were first manufactured in the early 1800s and were hand-painted and colorfully decorated with fine satin, feathers, ribbon or lace. Gifts of chocolate and sweet confections presented in fancy, decorated boxes symbolized fondness, and this tradition of giving edible gifts to loved ones continues today. 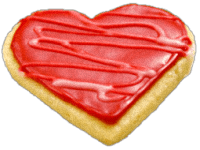 Use Grandma's old fashioned Valentine dessert recipes to create treats that taste as good as they look. These fancy treats can also be served on any special occasion such as anniversaries, bridal showers, baby showers, and birthdays. 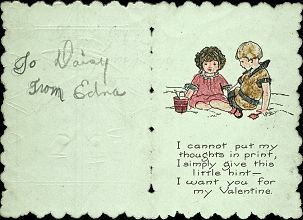 Mom received the above Valentine card at a classroom Valentine party in 1920, when she was just 9 years old. 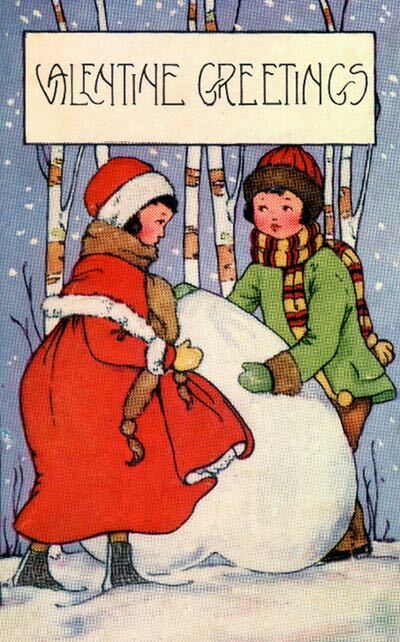 Back then, it was unusual to receive a store-bought card, as they were costly and most of her classmates made their own.